Just as fine English mahogany is selling below par, Chinese furniture, particularly in the desirable huanghuali hardwood, is booming. This late Qing pedestal desk, above, sold at Boningtons’ June 27 auction for £15,000. 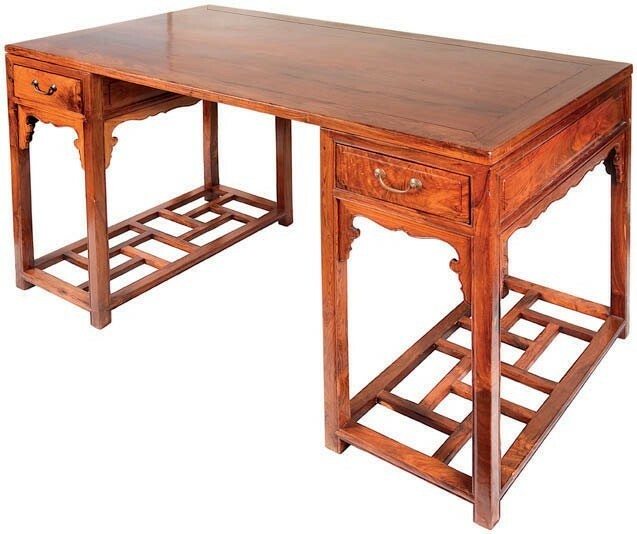 This late Qing (early 20th century) pedestal desk, above, topped the June 27 Epping sale at Boningtons (17.5% buyer’s premium). In good original condition, against a £4000-6000 estimate it sold to a UK-based Chinese bidder on the phone at £15,000.